Tumbled & rough stones with treasures. 8 - 10 ozs gems or gems & treasures. Tumbled & rough stones - fossil bags have rough stones & fossils. 10-12 ozs gems or gems & treasures. (16-17 oz gems) includes gems like emeralds, rubies, sapphires, garnets, citrine, and amethyst plus specialty items like geodes, arrowheads and more. Note: all bags/buckets will not include all the sample stones. Stones are from a variety of countries. Sample Stones may include: amethyst, jasper, tiger eye, carnelian, quartz, sodalite, calcite, fluorite, pyrite, agate, obsidian, tourmaline, peacock ore, citrine, aventurine, moonstone, mookite, unakite, fuschite, crystal points, and more. Found at Salty Dog Mine at WagonMaster Adventure Ranch. 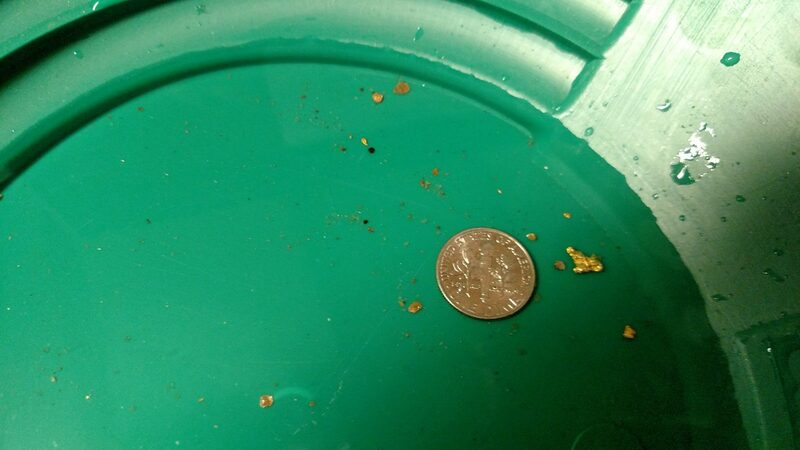 Free instruction included with gold panning and a certificate of authenticity. We also sell the paydirt to-go as well as pans.